Clubstor is the premier golf bag storage system. It was developed to offer space saving solutions for country club bag storage rooms. 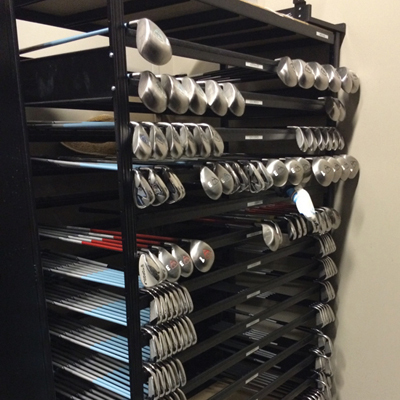 With over 30 years experience and over 500 installations worldwide, Clubstor is your golf bag storage solution! We offer both static and mobile units, and the rails on our mobile units meet ADA requirements. Clubstor products are backed with a structural lifetime warranty to the original purchaser. We make every effort to provide you with the best service and highest quality products to meet your specific needs.